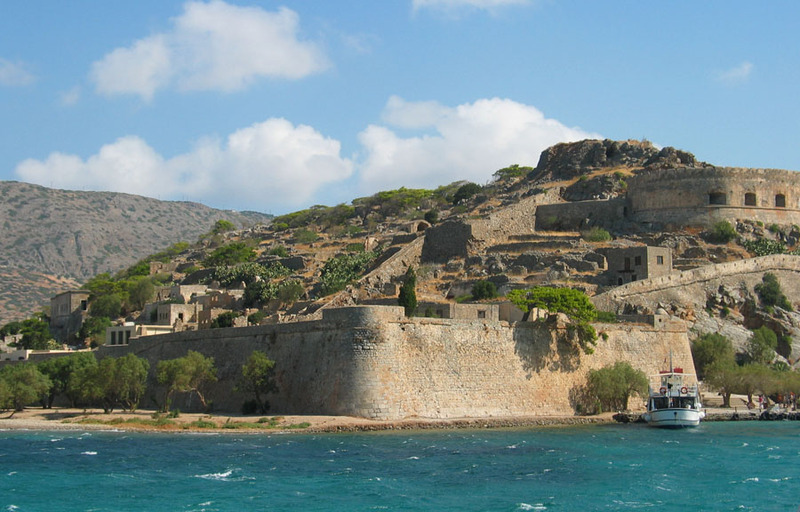 A short boat trip inside the calm waters of the Mirabello Gulf, will take you to the islet of Spinalonga. It is an arid and barren rocky islet with an area of 8.5 hectares lying silently opposite the coasts of Elounda. Due to its strategic location, it was fortified during the Venetian period and served a variety of roles and purposes throughout the centuries. Today, the uninhabited islet is a very popular tourist attraction in Crete. In addition to the abandoned leper colony and the Venetian fortress, Spinalonga is also known for its small pebble beaches and shallow waters. The islet has also been the setting for the 2005 best seller novel ‘The Island’ by the British author Victoria Hislop. 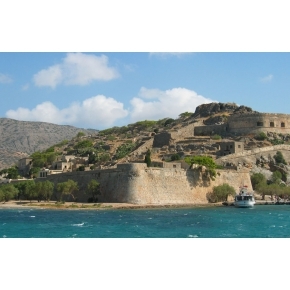 A walk around Spinalonga –with some of the finest views of the clear blue waters that surround the islet– will guide you through the pages of the novel. Strolling around takes about an hour, but the serenity of the place and the remnants of its recent history will certainly tempt you into spending much longer.